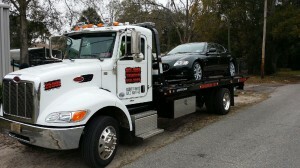 Deeway towing has noticed that there is a greater demand for flatbed towing. Vehicles with all wheel drive (AWD), Four wheel drive (4WD) and also low clearance must be towed via flatbed. Many manufacturers such as Acura and Mercedes recommend that all of their make and models be transported via flatbed.